As I stated in yesterday's post, six months ago the Irish government issued a report detailing decades of abuse at Catholic run boarding schools and orphanages. Tens of thousands of children were subjected to slave-like conditions, including physical, mental, emotional and sexual abuse. Yesterday, the Irish government released the report of a completely separate investigation detailing 30 years of widespread sexual abuse of children in Dublin by Catholic priests. Most damning (no pun intended) is that four successive archbishops of Dublin were aware of the abuse and covered it up in order to protect themselves, the priests and the Church. The report only covers the last 30 years. It is safe to assume that the culture of abuse goes back far beyond that. The Commission of Investigation into Dublin’s Catholic Archdiocese has concluded that there is “no doubt” that clerical child sexual abuse was covered up by the archdiocese and other Church authorities. Over the period within its remit “the welfare of children, which should have been the first priority, was not even a factor to be considered in the early stages,” it said. “Instead the focus was on the avoidance of scandal and the preservation of the good name, status and assets of the institution and of what the institution regarded as its most important members – the priests,” it said. The report states that there was an "obsessive concern" with secrecy, avoidance of scandal and protection of Church assets. This means that a Catholic priest, bishop, archbishop, cardinal, pope or other official can lie to the public--and even to law enforcement--so long as the purpose of the lie is to protect Church secrets (such as that priests are sexually assaulting children). How can anyone trust the Catholic church or claim that it has any moral authority? On this Thanksgiving Day, as a devout Christian, I thank God that I live in a secular nation. Six months ago the Irish government issued a report detailing decades of abuse at Catholic run boarding schools and orphanages. Thousands of children were subjected to slave-like conditions, including physical, mental, emotional and sexual abuse. Today, the Irish government has released the report of a completely separate investigation detailing 30 years of widespread sexual abuse of children in Dublin by Catholic priests. Most damning (no pun intended) is that four successive archbishops of Dublin were aware of the abuse and covered it up in order to protect themselves, the priests and the church. The report only covers the last 30 years. It is safe to assume that the culture of abuse goes back far beyond that. The Irish police force has also admitted its culpability of being too beholden to the power of the Catholic Church and, as a result, not adequately investigating claims of abuse. This is a good example of why I don't want to live in a theocracy, or even a nation where a particular religion has inordinate influence. It's hard to think of a single example in history of a theocracy that was not guilty of egregious abuses of power. Usually the victims of those abuses were minorities, outsiders and the powerless (like children, or in many cases, women). On this Thanksgiving Day it is worth remembering that the Puritans of the Massachusetts Bay Colony were utterly intolerant of those with different religious views than their own. Quakers, for example, who arrived in Boston, were subject to public flogging, seizure of property, imprisonment without food and blankets, banishment to the wilderness and execution. Mary Dyer and three other Quakers were publicly hanged in Boston in the late 1600's. A statue of her now stands in front of the Massachusetts state capitol building. These violent purges were not limited to outsiders however. We all know the stories of the Salem Witch Trials and the stifling cloud of conformity and paranoia that hung over the Puritan settlements. We could just as easily find similar examples in Calvin's Geneva or Luther's Germany or Cromwell's England or the de facto Mormon state of Deseret or, of course, the various nations ruled by Islamic Sharia law. When I hear James Dobson and like-minded Evangelicals talk about "returning America to its Christian roots", I shudder. On this Thanksgiving Day, as a devout follower of Jesus, I thank God that I live in a secular nation. I've long been puzzled by the anti-intellectualism that I sometimes encounter among certain fellow Christians. For example, my formative years as a believer were spent under a pastor who mockingly referred to seminary as "cemetary"; the implication being that formal theological education is antithetical to Spirit-filled living. What's strange is that the doctrines and creeds which most Christians subscribe to were shaped by intellectuals. Luther, Calvin, Aquinas, Anselm, Jerome, Augustine, Ambrose, Origen and many, many others were world-class scholars who collectively crafted the way modern-day Christians think about their faith. The Apostle Paul was a very smart and well educated guy. He could talk theology and philosophy with the best of them. He even got a gig in Athens at the Areopagus, which--for a philosopher--was the equivalent of a modern-day lawyer arguing a case before the Supreme Court. So clearly there is not a dichotomy between intellectualism and Christianity. What I eventually learned is that the anti-intellectualism came in via *fundamentalism*. There are many forms of fundamentalism--Christian, Islamic, Jewish, Hindu, Communist, etc.--and anti-intellectualism tends to be a core characteristic of all of them. This is because fundamentalism is rooted, driven and sustained by fear. Fundamentalism is a retreat position. It is the idealogical equivalent of circling the wagons, or scurrying to the inner keep of the castle and raising the drawbridge. Knowledge and education (not to mention inclusivity and coexistence) are seen as threats to the fundamentalist ethos. Fundamentalism is characterized by an emphasis on strict adherence to a relatively narrow set of rules and a somewhat exclusivistic "us vs. them" worldview. "There was no single founder of fundamentalism. Americans Dwight L. Moody (1837 – 1899), Arthur Tappan Pierson and British preacher and father of dispensationalism John Nelson Darby (1800 – 1882), among others, propounded ideas and themes carried into fundamentalist Christianity. The term fundamentalist...derives from a series of (originally) twelve volumes entitled The Fundamentals: A Testimony To The Truth. Among this publication's 94 essays, 27 of them objected to higher criticism of the Bible, by far the largest number addressing any one topic. The essays were written by 64 British and American conservative Protestant theologians between 1910 and 1915. Using a $250,000 grant from Lyman Stewart, the head of the Union Oil Company of California, about three million sets of these books were distributed to English-speaking Protestant church workers throughout the world." It was a revelation when I left behind the provincial world of that "cemetary" pastor and discovered a whole galaxy of brilliant, educated and deeply devout Christian thinkers who seek to love God with all of their heart, soul, mind, and strength. Rather than being fearful and suspicious of knowledge, they embrace the gift that God has given them of inquisitive minds. I can't help but think that God smiles upon that. The upshot of Total Depravity is that it is impossible for any person to come to God of their own volition. Therefore, the only way a person can come to God is if God predestined them and enables them to come. Only those who have been thusly "elected" by God can become true followers of Jesus. The rest of mankind--those who were not predestined for salvation--are, ipso facto, predestined for eternity in Hell. Another ramification is that if one is among the predestined elect, it is regardless of whether or not one lives a life of holiness. Presbyterian churches are Calvinist, as are most churches that use the word "Reformed" in their name. Seattle's mega Mars Hill Church is Calvinist. Many Christians who do not attend Calvinist churches or even know what Calvinism is have imbibed elements of Calvinist theology. In particular, the doctrine of Total Depravity is widely accepted among Christians who otherwise would not self-identify as Calvinist. This tends to lead to a defeatist attitude towards avoiding sin on a day-to-day basis. "There but by the grace of God go I", as the saying goes. The typical Evangelical Christian struggles with the notion, which they have been told is Biblical, that there is nothing good in them. They have to try to overcome sin in their life, but it is a foregone conclusion that they will always ultimately fail due to their Total Depravity. Quakerism arose in the 17th century, in part, as a reaction against Calvinist theology. Probably the most controversial doctrine of Quakerism is the doctrine of Perfectionism. It is also probably the most misunderstood doctrine of Quakerism. Perhaps it would have been better to call it "Maturism" or "Obediencism". 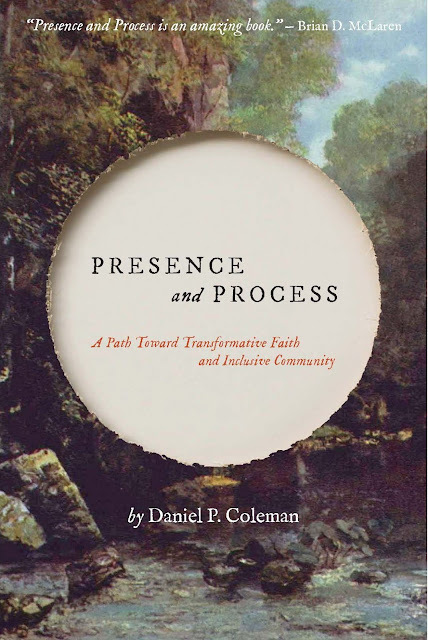 At the core of Quakerism is the belief that God can be experienced here and now. George Fox's seminal revelation was that "Christ has come to teach His people Himself." This means that one can walk continuously in the "Inner Light" of Christ's presence, receiving wisdom, direction, encouragement, instruction and the ability to overcome temptation. Thus, to the Quaker, it is possible to walk in obedience to God, and to not sin. Here's another way to think of it: Can you go for one minute without sinning? Total Depravity would say "No, even if you are not actively sinning, you are still filled with sin." Perfectionism would say, "Yes, since to sin is to walk outside of God's will, if one stays within God's will for one minute, one has not sinned for that minute." If one minute, how about two? If two, how about five? If five, how about fifteen? If fifteen, how about an hour? If an hour, how about a day? The upshot of Perfectionism is that it is remarkably optimistic. Since sin is something which enslaves and degrades us, Perfectionism says that we have the potential, by walking closely with God, to live in freedom and dignity. It should be stressed that Perfectionism isn't about earning God's approval. God's love, as demonstrated through Christ, is a pre-existing condition. Therefore, if we stumble and sin, we have not lost God's love and acceptance. As Philip Yancey once wrote, "There is nothing you can do to make God love you more than He already does. There is nothing you can do to make God love you less than he already does." This is because God's love is perfect and it is all about Him, not us. However, the joy of the Christian life (what Quaker Hannah Whitall Smith called "The Christian's Secret of a Happy Life") is going through our days in a living, interactive, dialogical relationship with God, fully aware of His passionate and unchanging love for us. As we do so, we naturally and progressively live more and more within God's will. We grow into Him. We also begin to reflect Him to the world in which we live. This is why Quakers have so often been at the forefront of human rights and social justice movements. When I read in Matthew 3 about John the Baptist and his call to the ancient Jews to "Prepare the way for the Lord, make straight paths for Him." by repenting from sin (and being baptized as a way of publically signifying that repentance), I see the same principle of what came to be called Perfectionism. The Greek word translated as "repent" is 'metanoia', which literally means to have a change of mind; a reorientation; a fundamental transformation of outlook; a whole new way of thinking. John Newton wrote "I once was lost, but now am found, T'was blind but now I see." He experienced metanoia. When Jesus told Nicodemus to be "born again" He was telling him to start all over again with an entirely new way of thinking. Metanoia. The Biblical Book of James is all about choosing to walk in obedience with God. James tells us that "...the testing of your faith develops perseverance. Perseverance must finish its work so that you may be mature and complete, not lacking anything." James then cajoles us to "...get rid of all moral filth and the evil that is so prevalent and humbly accept the word planted in you, which can save you." (1:21 -- It should be mentioned that, Biblically speaking, the "Word" is Jesus; what Quakers would also call "the Light"). James goes on to tell us that "...faith by itself, if it is not accompanied by action, is dead [literally, "is a corpse"] ... Show me your faith without deeds, and I will show you my faith by what I do." (2:17,18) Later he instructs us, "Submit yourselves, then, to God. Resist the devil, and he will flee from you. Come near to God and He will come near to you. Wash your hands, you sinners, and purify your hearts, you double-minded. Grieve, mourn and wail. Change your laughter to mourning and your joy to gloom. Humble yourselves before the Lord, and He will lift you up." (4:7-10) This is repentance. This is metanoia. Quakers call it "Convincement." James may make it sound like a downer, but it is the gateway to walking closely and joyfully with God, in victory over sin. This is what the doctrine of Perfectionism is all about. If you read the first three chapters of the Book of Revelation, you will see a phrase repeated over and over: "To him who overcomes." What follows each instance are promises to the one who overcomes. In fact, the entire Book of Revelation, rather than being a freaky prediction of end-times events, is a document written to encourage Christians to walk closely with God during tough times and to "overcome" rather than be overwhelmed. When Moses gave his farewell address to the ancient Hebrews (as recorded in Deuteronomy 30:11-14) he offered them this challenge: "Now what I am commanding you today is not too difficult for you or beyond your reach. It is not up in heaven, so that you have to ask, 'Who will ascend into heaven to get it and proclaim it to us so we may obey it?' Nor is it beyond the sea, so that you have to ask, 'Who will cross the sea to get it and proclaim it to us so we may obey it?' No, the word is very near you; it is in your mouth and in your heart so you may obey it." These messages, and many more like them, form a thread which runs all through the Bible. It is an invitation to live moment-by-moment, day-by-day, in the tangible presence of God and, as a result, to be radically changed from the inside-out to one who is not totally depraved, but is mature, obedient and filled with light, life and love. It's easy to be intolerant about people we don't know. As long as they are not one of us but one of "them", they can be objectified, dehumanized and dismissed (or worse). But when we get to know people--to hear their story--we find that they are not so different from us after all. It becomes much harder to slap a label on them and write them off. Take a moment and listen to the story of Stu Rasmussen. Even if you don't agree with his personal choices, at least you'll know him a little bit. And perhaps, like the people in the small town of Silverton, Oregon, you'll be moved to stand up against intolerance. I often receive emails from friends, or see Facebook postings, which contain patently false information. The content has usually been copied & pasted or forwarded from elsewhere and is usually from a Conservative perspective. The subject is usually Barack Obama or Atheists or Illegal Immigrants or some current political issue. 9 times out of 10, it takes me less than a minute of checking Snopes or doing a Google search to determine that the claims are either false or grossly distorted. What particularly troubles me about these messages is that they almost always come from people who profess to be Christians. I've developed a standard reply to them, which is to point out the falsehood along with a reminder that Christians are supposed to be people of the Truth, not people of half-truths and Internet rumors. After all, why should people listen to our message about the Savior when we've developed a reputation for spreading inaccurate information? But I think there is more to this issue than that. To knowingly or carelessly propigate false information about someone is not just wrong. It is serious sin. Many of these emails and postings clearly fall under what the Bible defines as "gossip" and "slander". The Book of Proverbs says “The words of a gossip are like choice morsels; they go down to a man’s inmost parts” (Prov. 18:8 & 26:22) and “...without wood a fire goes out; without gossip a quarrel dies down” (Prov. 26:20). Gossip is alluring and fun and keeps the controversies alive, but it also poisons us. The intent of slander and malicious gossip is to do harm. These words describe someone who goes about actively seeking to spread falsities about another. "And just as they did not see fit to acknowledge God any longer, God gave them over to a depraved mind, to do those things which are not proper, being filled with all unrighteousness, wickedness, greed, evil; full of envy, murder, strife, deceit, malice; they are gossips, slanderers, haters of God, insolent, arrogant, boastful, inventors of evil, disobedient to parents, without understanding, untrustworthy, unloving, unmerciful; and although they know the ordinance of God, that those who practice such things are worthy of death, they not only do the same, but also give hearty approval to those who practice them." "Yes," someone might say, "but Obama is a public figure. That makes it different." I would respond by saying let me know when you find the scripture that allows gossip and slander in the case of "public figures." So, does this mean that it is wrong to criticize the President or atheist college professors or U.S. immigration policy? No, of course not. What it does mean is that we have a responsibility to be as sure as we can that our criticisms are fair and honest. I may despise someone's politics, but that doesn't give me permission to spread falsehoods about them. Nor does it get me off the hook for not doing a little fact-checking before I forward something. And before I hit the "Send" button, I need to stop and ask myself this question: "What is my intent?"